Shortly after moving Mayor Catherine Pugh into her new Ashburton home last summer, Allen P. Burrus was awarded a city-owned condominium at signifiantly under its appraised value. Burrus gained title to unit 203 of the Hanlon Park Condominium through an agreement of sale authorized by the mayor and the Board of Estimates on September 26, 2018 – approximately two months after Allen & Son Moving & Storage moved the mayor into her new Ellamont Road house. The mayor’s office has not responded to a request by The Brew for comment on the house move, including documentation showing that she paid the politically well-connected Burrus for the move. Burrus also has not responded to Brew inquiries. The condo sale was approved by Pugh and three of four board members despite a sales price of $11,500 – or 28% below the unit’s $16,000 appraised value. City rules require that board members abstain from voting on matters, especially financial matters, that involve friends, family, associates or other potential conflicts of interest. The only board member who abstained was Comptroller Joan Pratt, who is in charge of disbursing surplus municipal real estate and also runs her own CPA firm. Pratt said she abstained because she did accounting work for Burrus more than a decade ago. “It has been my practice to abstain from votes on anything that I may have been involved in personally or professionally,” she said. City rules further require the BOE to obtain the best price for any city property undergoing sale. 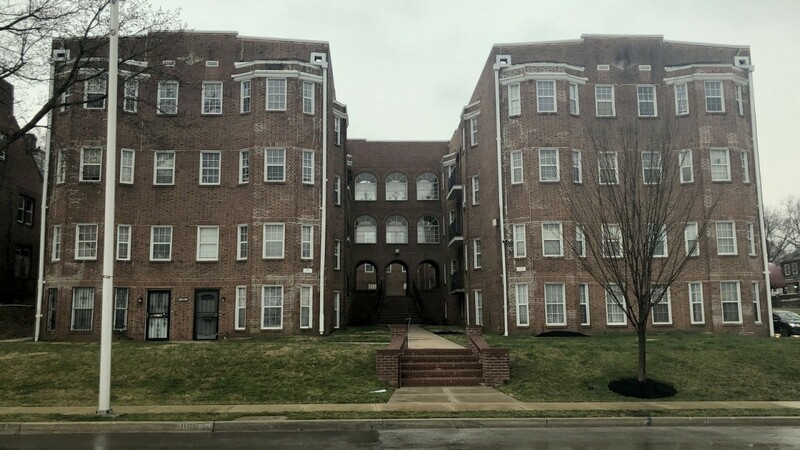 A review of recent sales at the Hanlon Park Condominium, a well-kept brick building on Hilton Street and Liberty Heights Avenue, show prices of equivalent square-foot units from $40,000 to $52,319. The unit purchased by Burrus is currently assessed at $41,800 by the Maryland Depart of Assessments and Taxation. The condo unit had been donated to the city in June 2014 as part of a final estate disbursement. In September 2015, the City Council passed an ordinance approving the condo’s sale to the public. It is not known whether Pratt’s office received prior bids on the property or whether it was ever offered for sale to the public. The Brew has requested this information from the comptroller and the real estate department, which is run by Walter J. Horton. Yesterday The Brew disclosed that Horton received a $500 campaign contribution from Burrus while running for a state delegate seat in the 41st District. Horton lost in the June 2018 Democratic Party primary. By all measures, Horton’s department arranged the condo sale to Burrus in record time. Usually, such sales take many weeks, if not months, to wind their way to the Board of Estimates, especially if they require approval by city’s property sales review committee. This sale went from appraisal on August 30, 2018 to approval by the BOE on September 26, 2018. “Subsequent to the appraisal, the property suffered structural deterioration due to extensive water damage,” the BOE was told by Horton’s office. As a result, the sale of the unit was lowered from the appraised value of $16,000 to $11,500. The condo, located four blocks from the mayor’s new residence, is in a building that is a block from Lake Ashburton.